NSP Strategy: Is FTTH Broadband's Future? 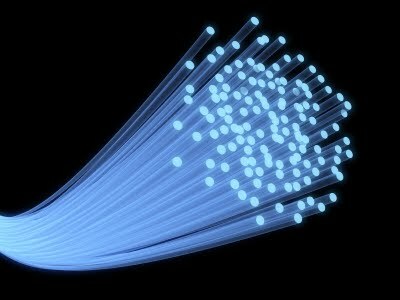 Good article about the cost of Fiber-to-the-Home (FTTH). In the poker game of US broadband, VZ went all in on FTTH in affluent areas. Comcast and Cox have rolled out DOCSIS 3.0 to deliver up to 100 Mbps of broadband. The Duopoly is experiencing pain points in that consumers - in this uncertain economic climate - aren't willing to spend extra for uhttp://www.blogger.com/img/blank.gifltra-fast broadband. In fact, consumers are doing as much cord cutting as possible - with cable TV and landlines. The family budget only goes so far as it competes with cellular, entertainment, food and gas price increases. It turns out that Ma Bell's bet on VDSL2 and FTTN (fiber-to-the-node) or FTTC (fiber-to-the-curb) if you rather, may prove to be a bankable alternative. For now. We know that the FTTH approach has stalled at the former Baby Bell. One reason is that the financials were based on 50% penethttp://www.blogger.com/img/blank.gifration and they aren't seeing 35%. Another reason is the high cost of delivering TV at a time of economic hardship; cord-cutting; and OTT (over-the-top means streaming video like Hulu or Netflix). Content costs a fortune. Want proof? Frontier raihttp://www.blogger.com/img/blank.gifsed FiOS TV rates $30 per month or 46% after it took over some FiOS areas with the VZ rural acquisition. It was cheaper to move to DirecTV (which Frontier sells as its TV package). So for FTTH, the carrier has to make all its money for ROI on early bundles - and later on broadband and value added services. Why? Voice is declining. So it's broadband, home security, and PC security. In the end, the article basically says that the ROI isn't there for FTTH. Mainly, carriers are chasing Fortune 5000, Government contracts, International and Mobile. They aren't getting creative with the consumer base -- or the small business base either. TANGENT: "As of March 31, 2011, DIRECTV U.S. had 19.40 million subscribers with average monthly revenue per subscriber, or ARPU, of $88.79." One more ASIDE: Frontier execs LIED to regulators during questioning about the $8.6B VZ-Frontier rural acquisition telling them that they would not raise rates! DUH! They lie. DUH! No consequences.